There was some heated argument around the Motorola Atrix between the OEM junkies and the XDA funkies. To root or not to, was the question and as usual the XDA funkies won. After the rooting, Motorola told that the bootloader is locked down for custom ROM and once again the defiant XDA heros have rosen to victory. The first custom ROM for Atrix is now available. Developer DesignGears at the XDA has developed the Adeo ROM for the Atrix with a lot of cool features. One awesome feature is the step that will empower developers with access rights to modify and replace APK files. 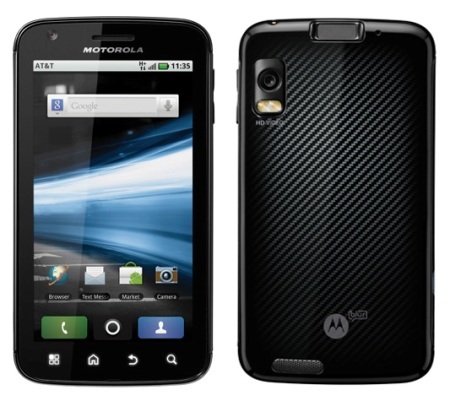 But be careful not to do a factory reset or pull out the battery, else you may brick your precious Motorola Atrix. I believe android phones are not easily brickable and even if bricked, we have talented super souls to give its life back. For step by step instructions, go to the XDA thread and you can download the installer from here . MTNL waives off Activation and testing charges for broadband customers.